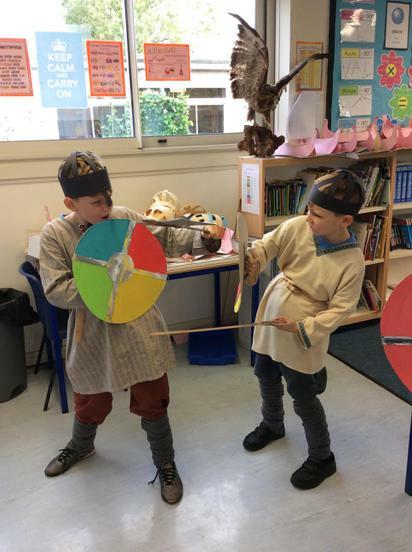 Before half term, we took part in the Viking day. 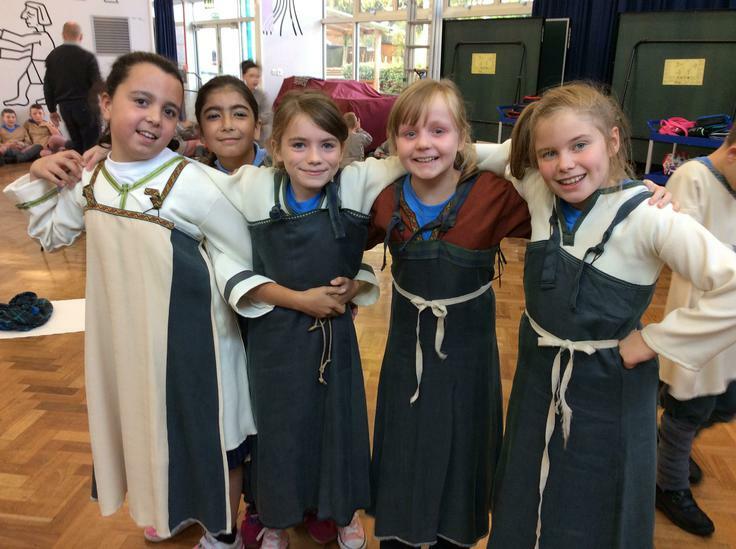 We dressed up as Viking villagers, wearing their clothes and doing their jobs. 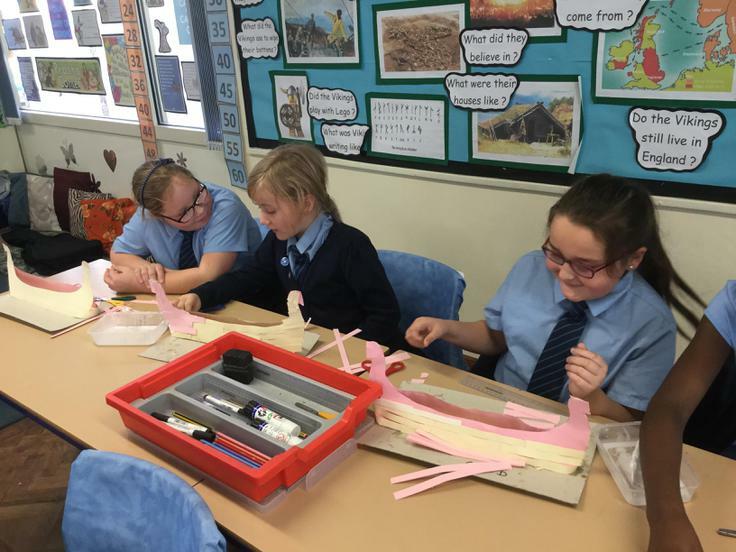 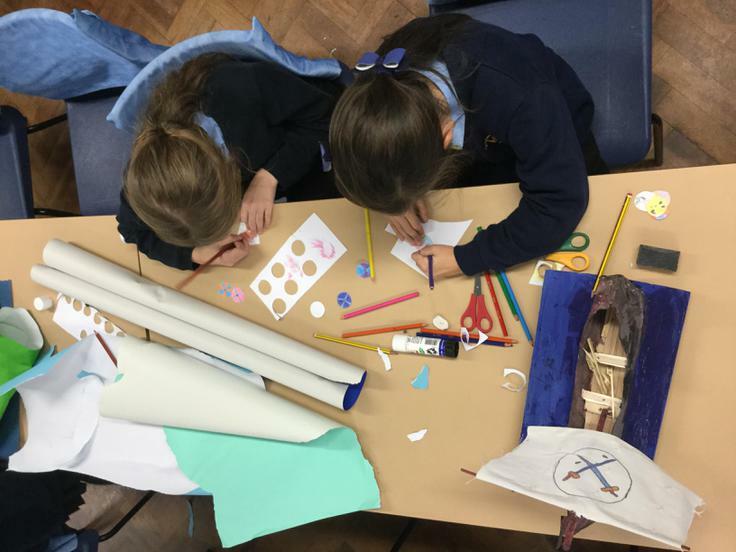 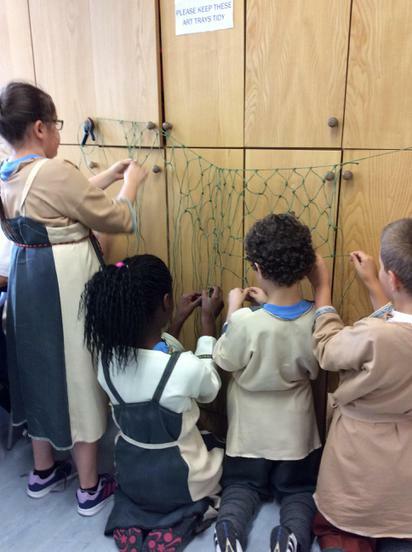 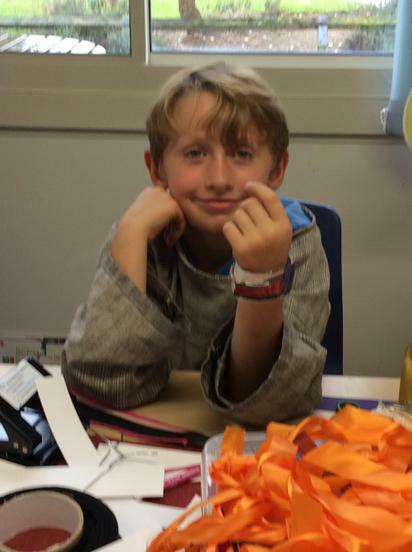 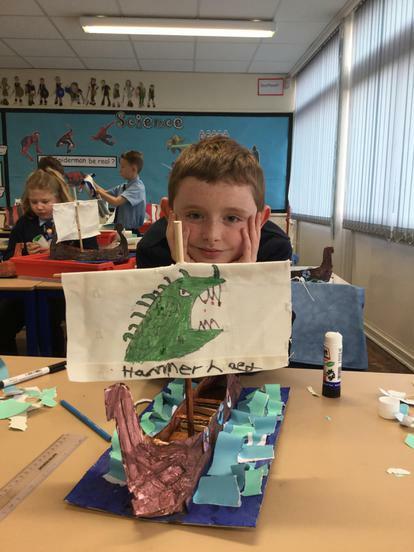 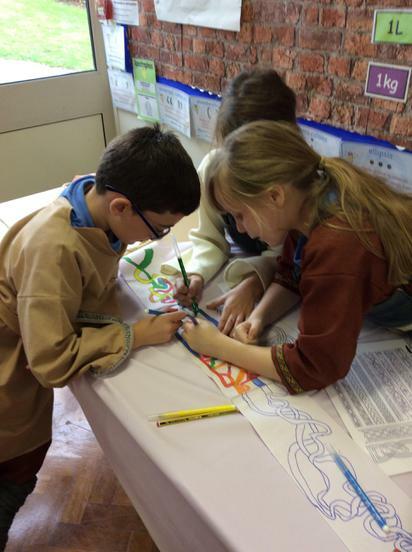 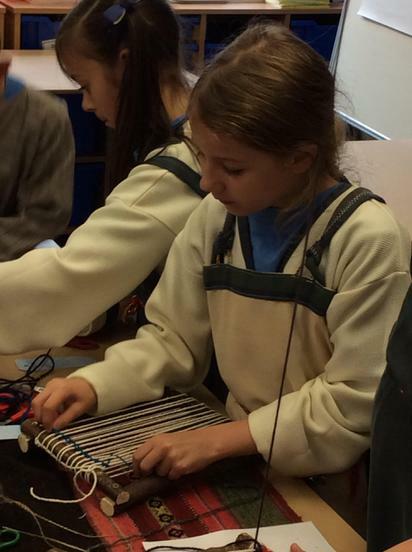 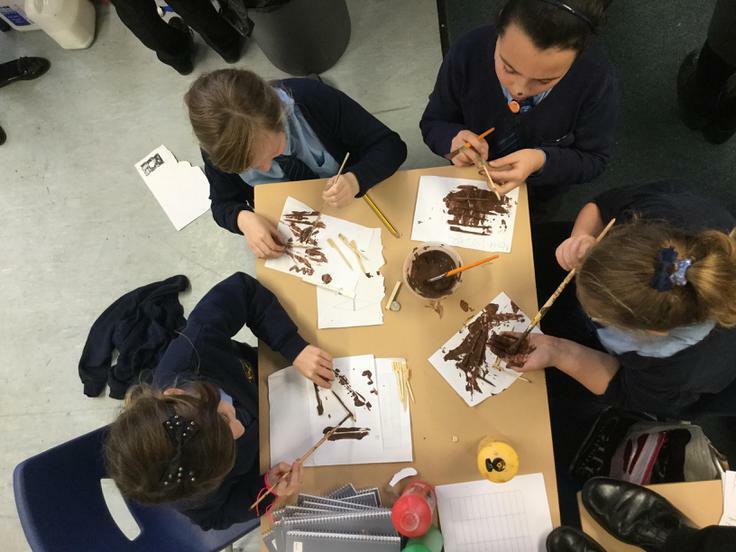 We mended the nets, designed sea-monsters, looked for evidence of Viking place-names, made jewellery, wove cloth on a hand loom and minted coins. 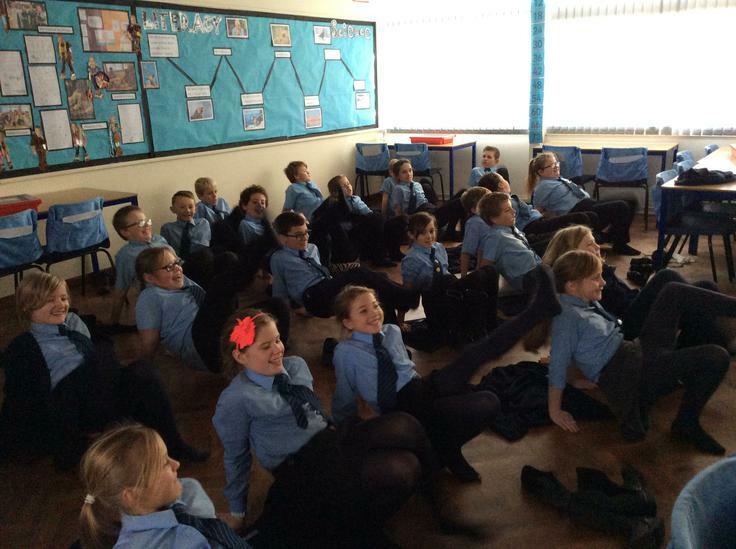 By the end we were tired and we only got a couple of muddy knees over the whole day... what an achievement! 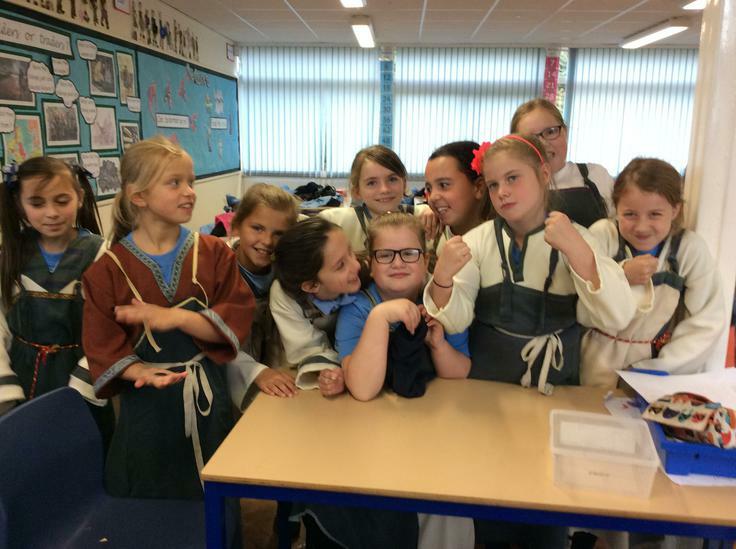 You can look at our pictures but if you meet any of these fearsome girl warriors or berserkers on a dark night, be afraid, be very afraid. 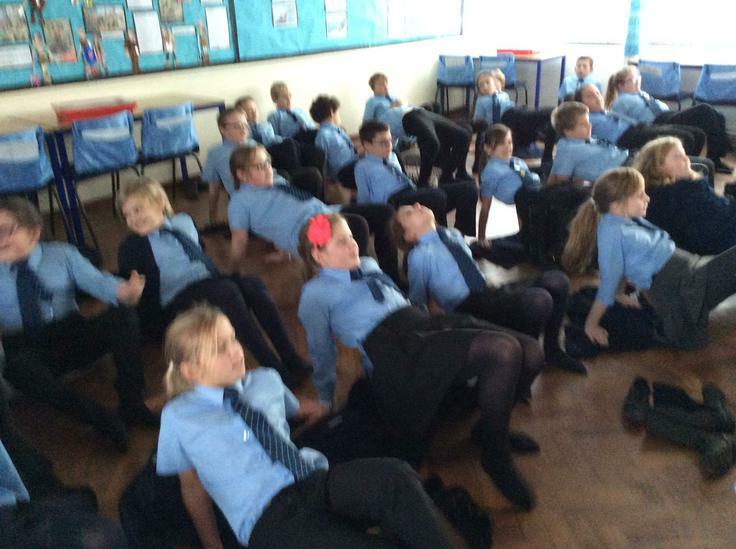 After a long week of rehearsals, it was time to relax and reenergise. 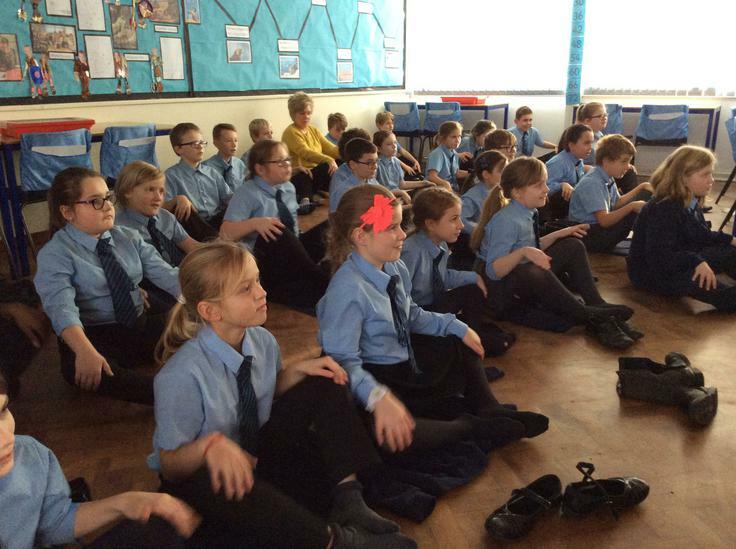 The children (and Mrs Kefer!) 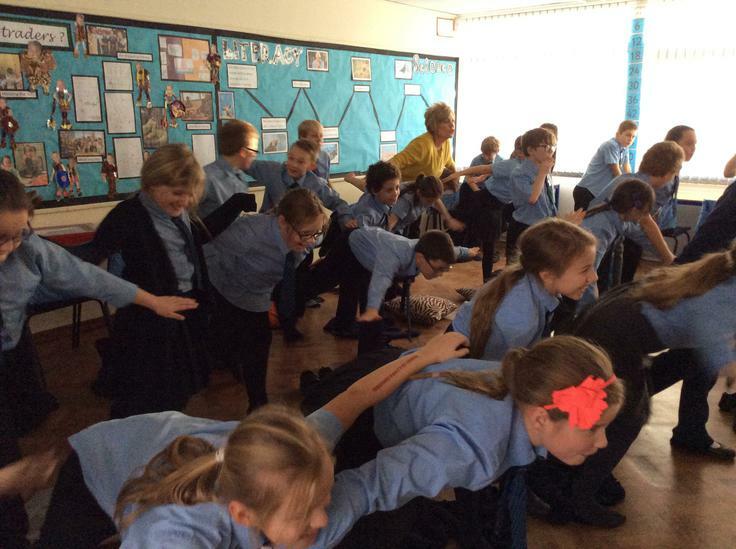 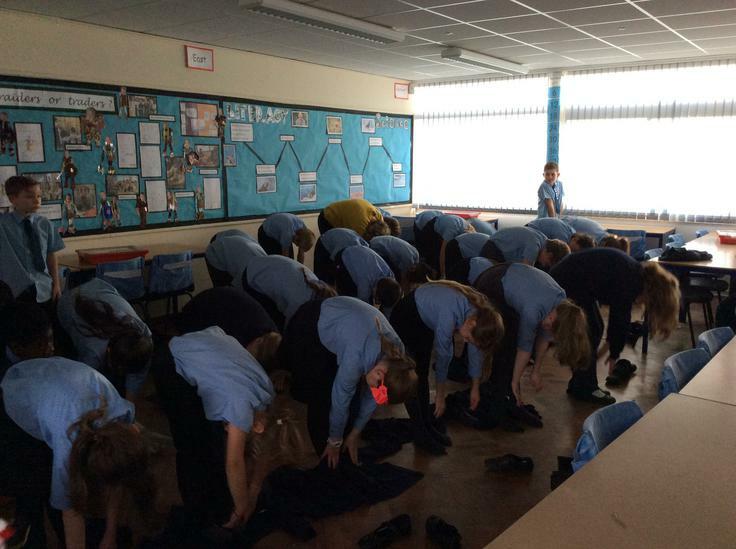 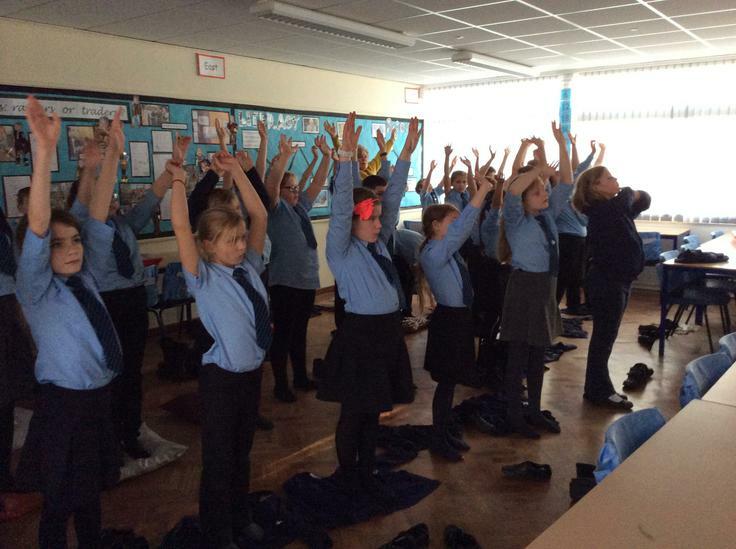 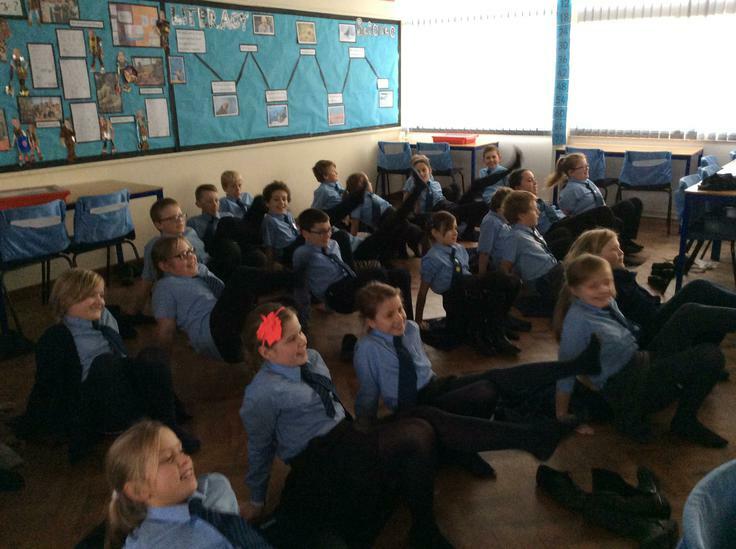 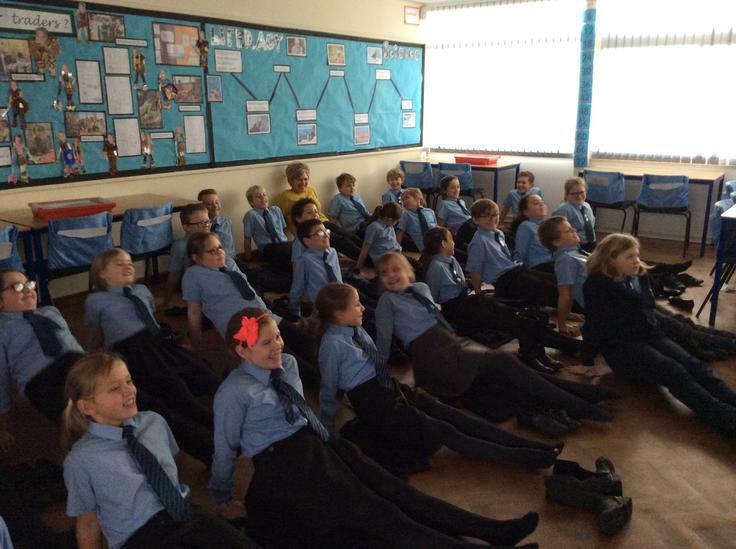 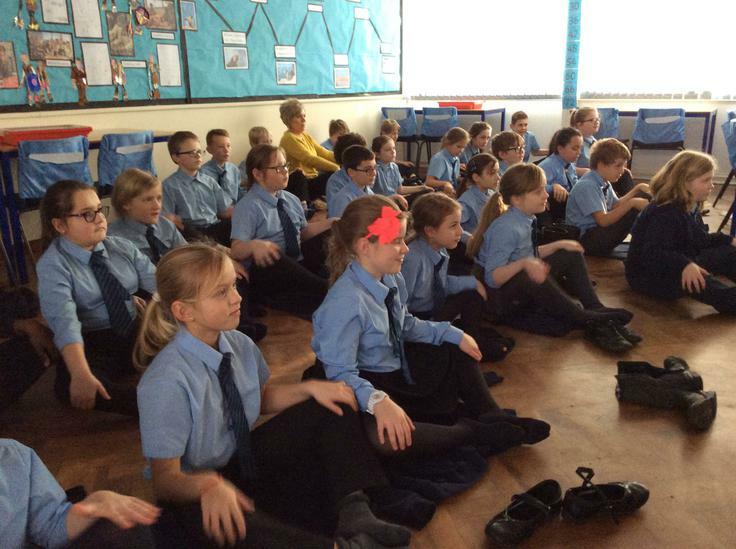 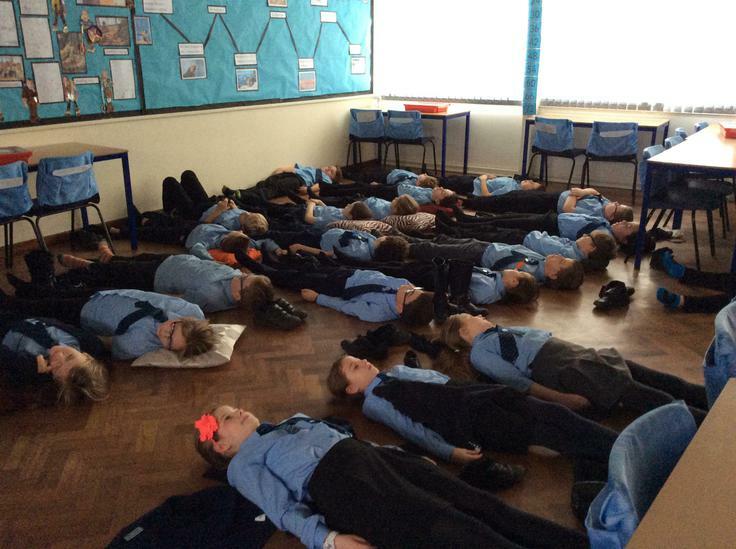 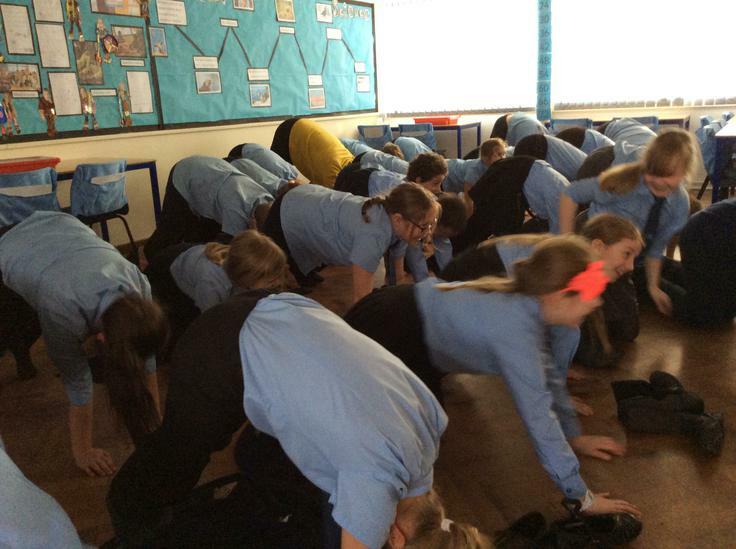 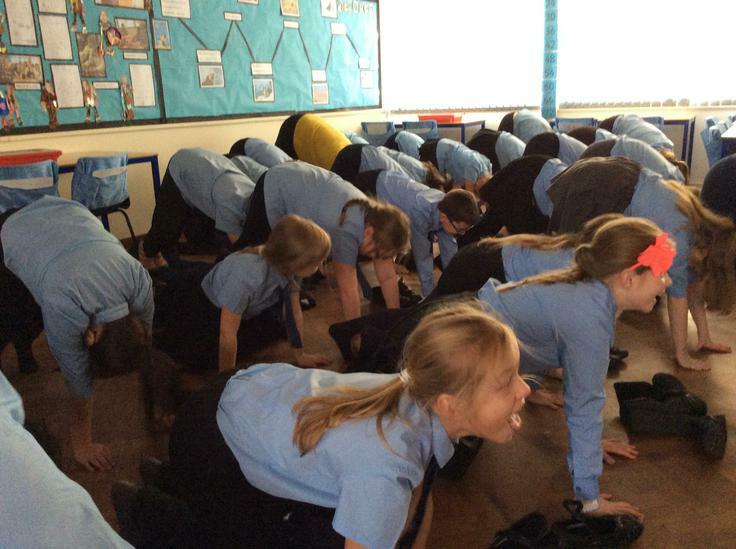 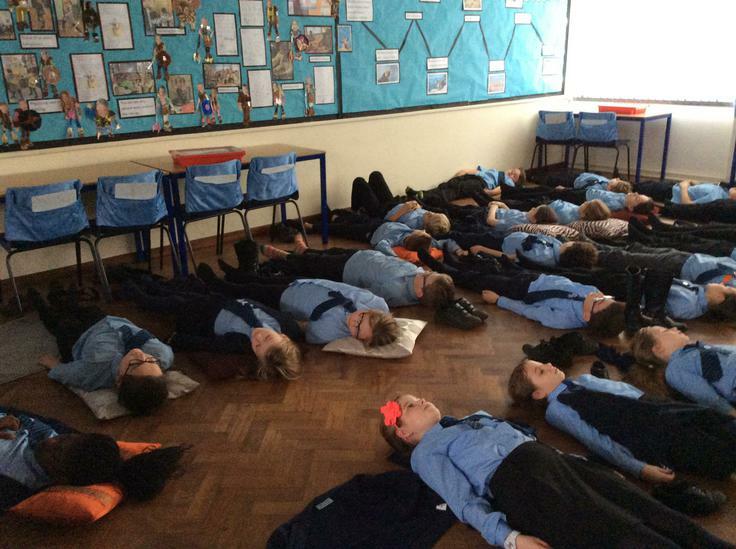 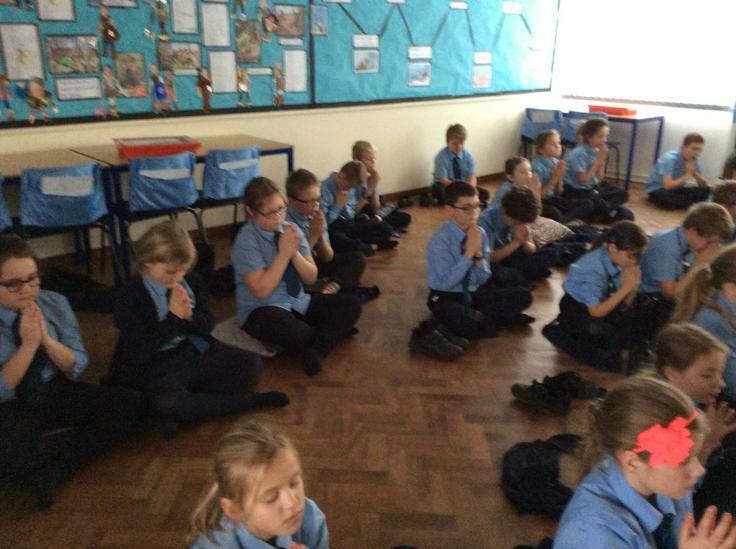 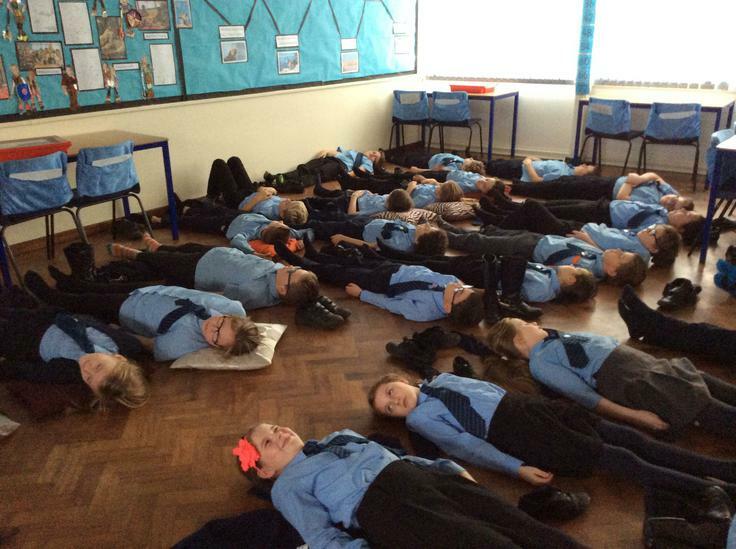 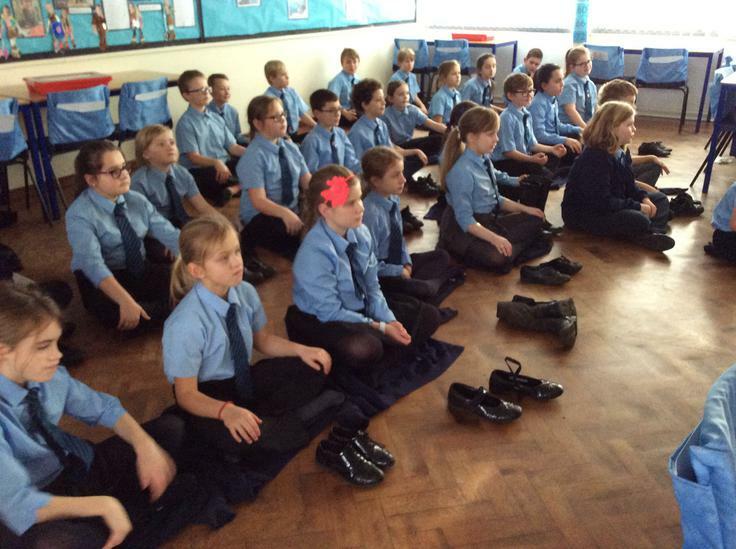 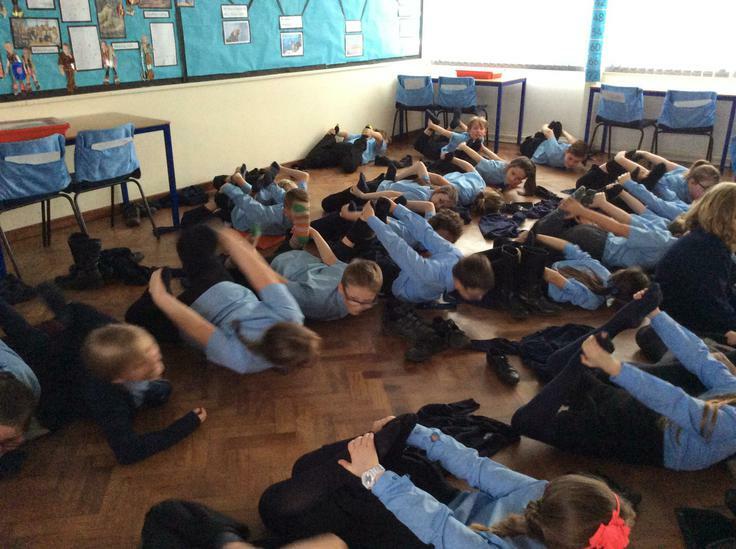 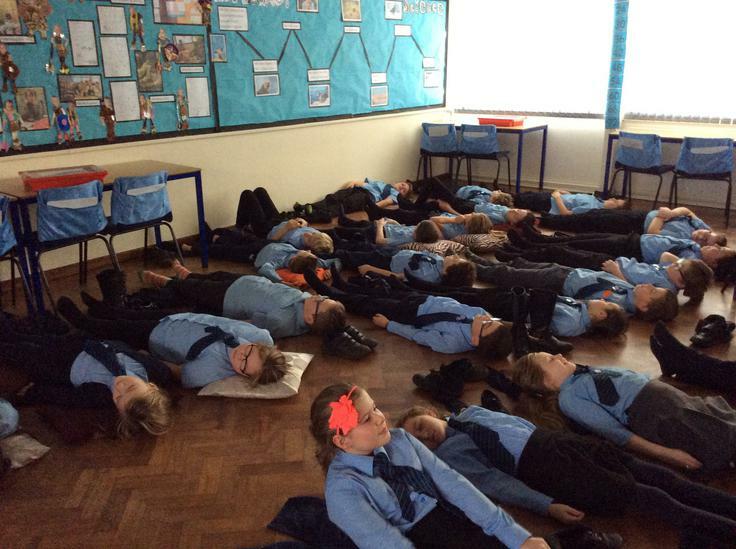 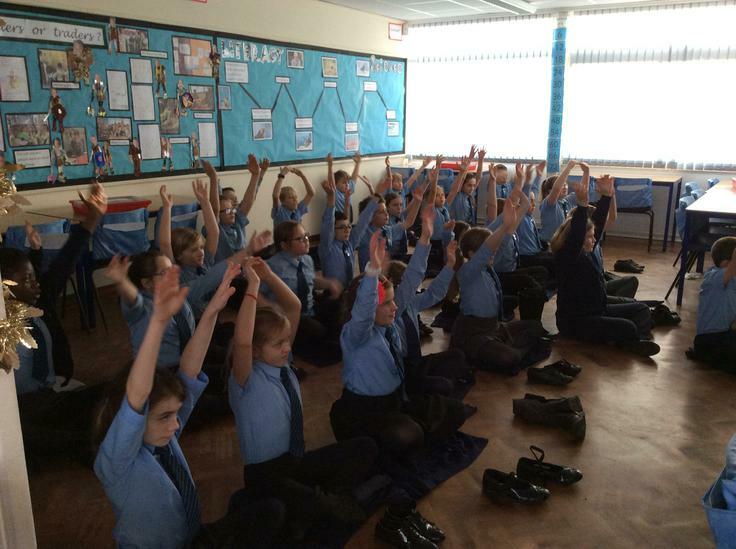 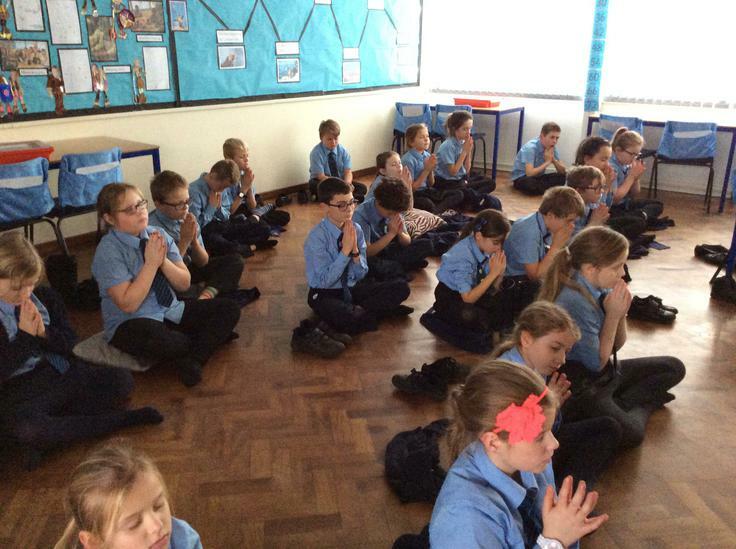 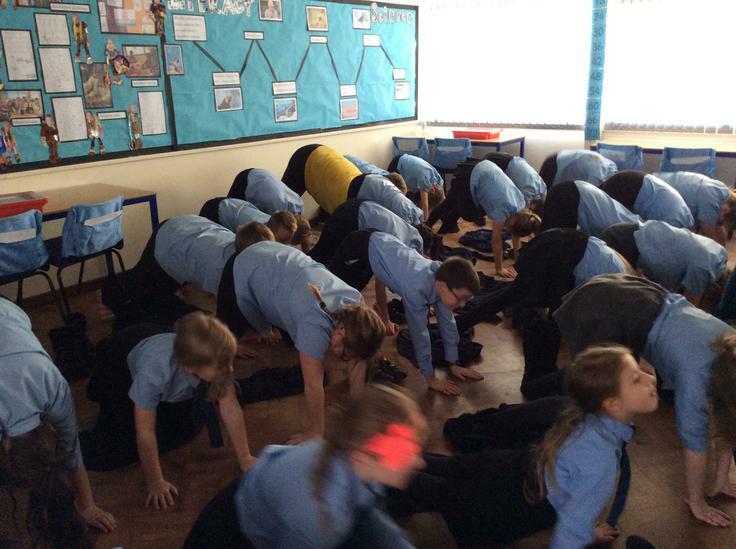 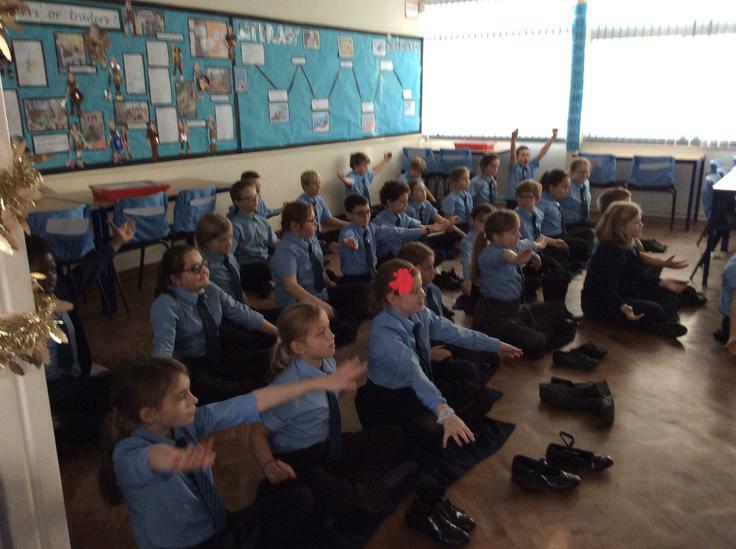 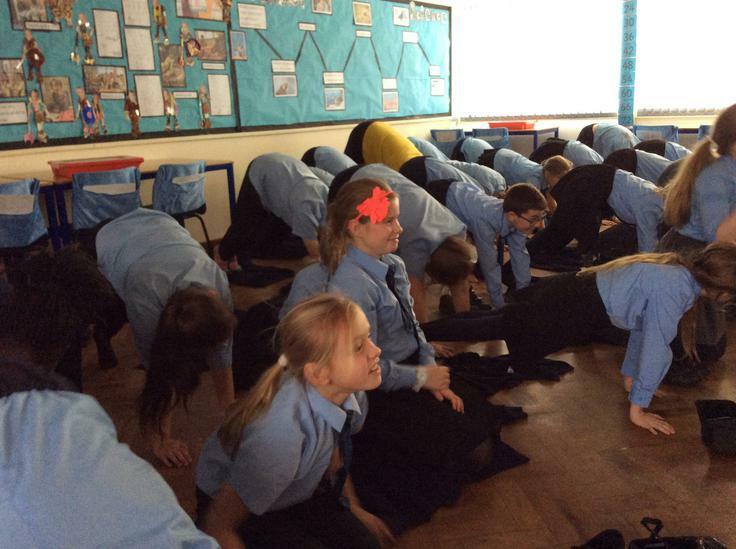 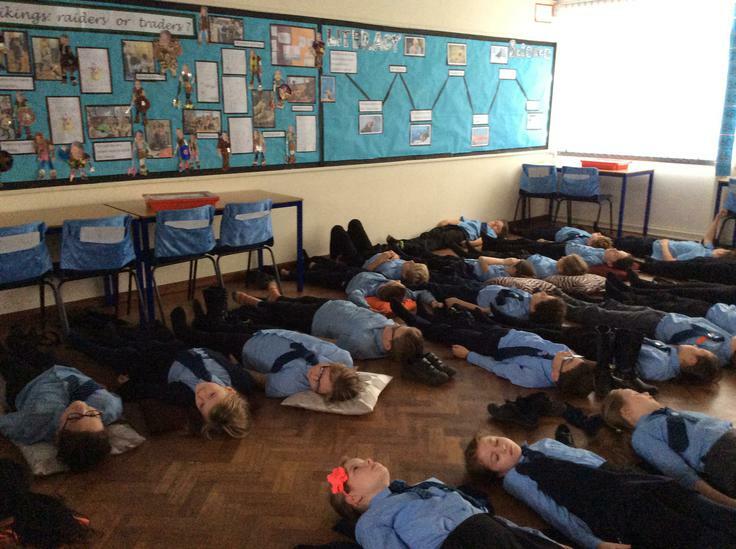 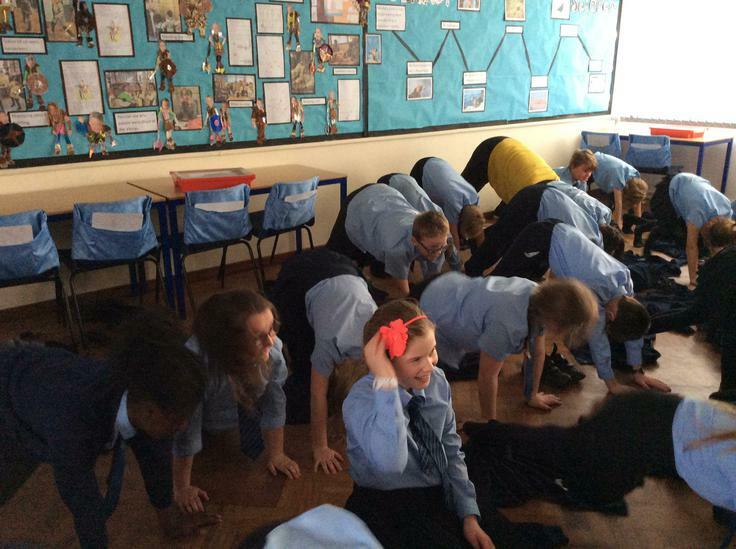 thoroughly enjoyed their yoga session with Miss Jackson which included breathing techniques and some funny moves! 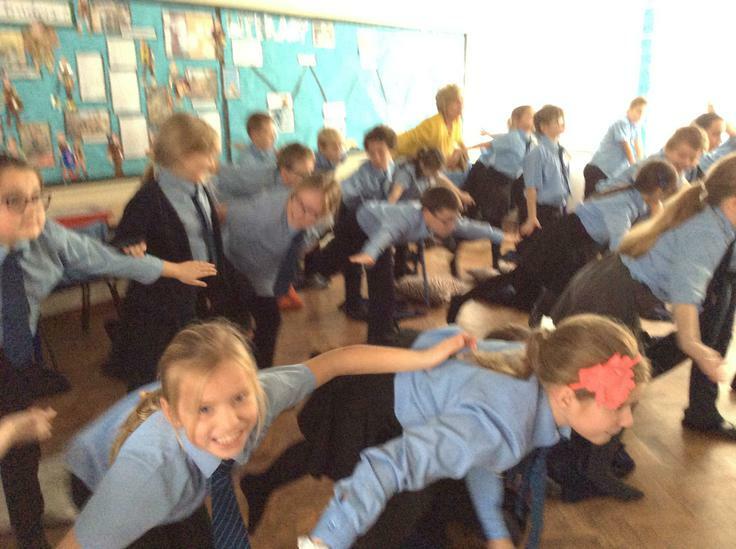 Some children enjoyed it so much that they demonstrated the techniques at home. 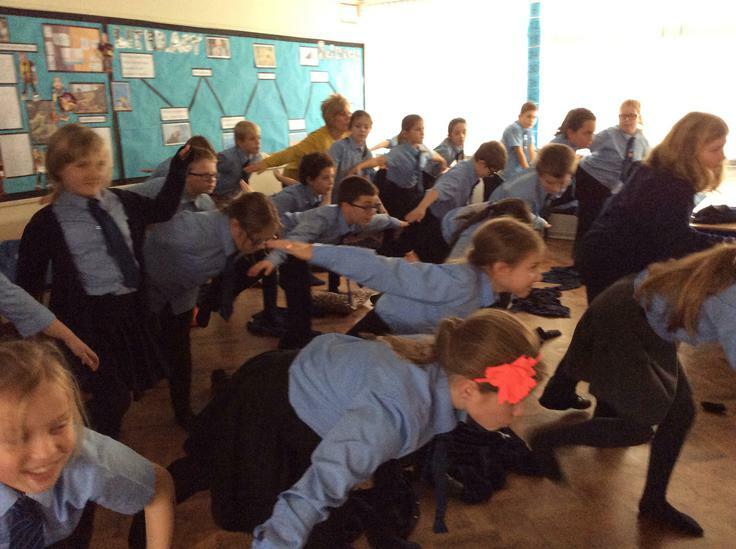 After the yoga, they set to work on making Viking men for their ships. 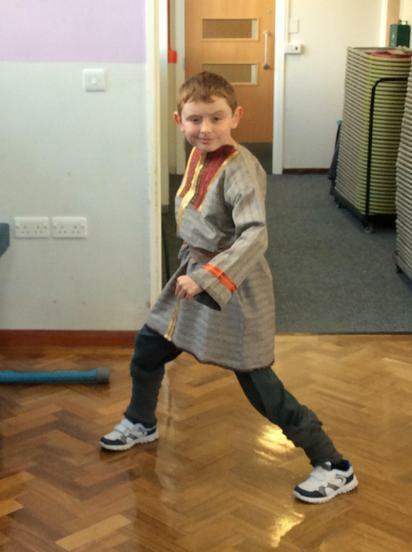 For our class assembly, we made a special edition of Horrible Histories. 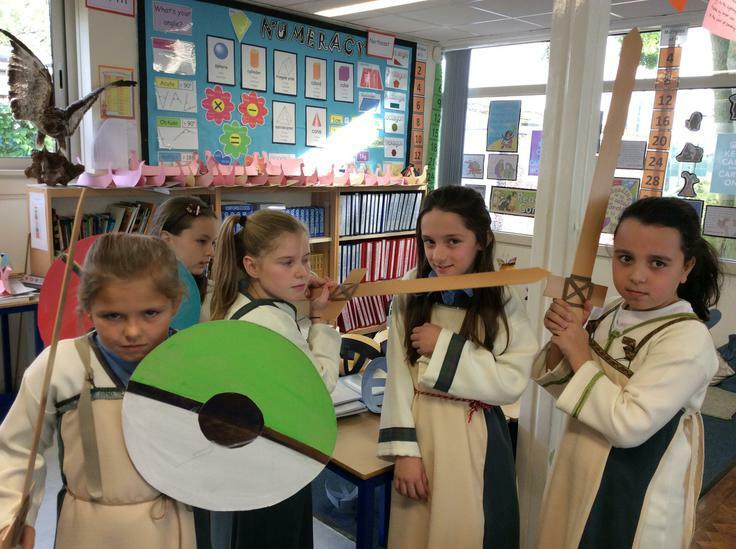 We answered questions like ... why did some Vikings go into battle stark naked ? 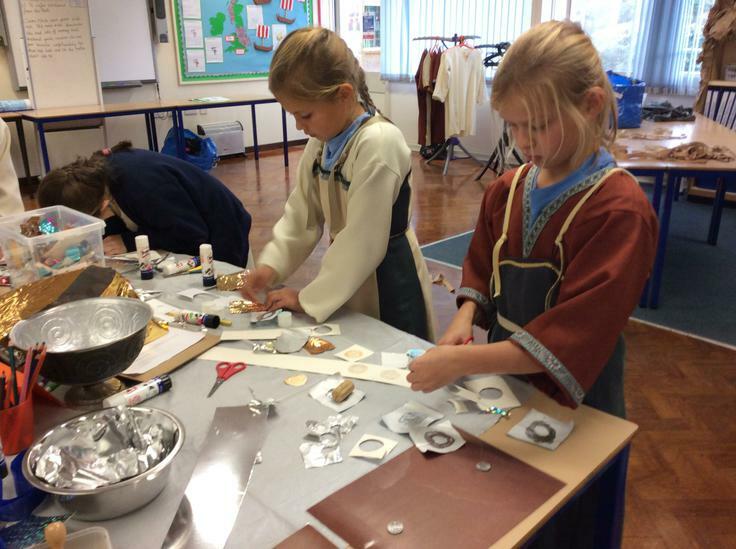 What did the Vikings wipe their bottoms with ? 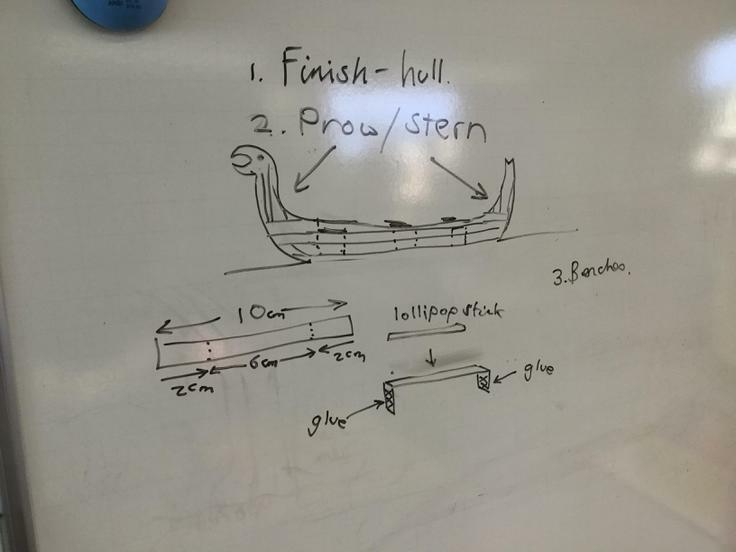 Did the Vikings play with Lego ? 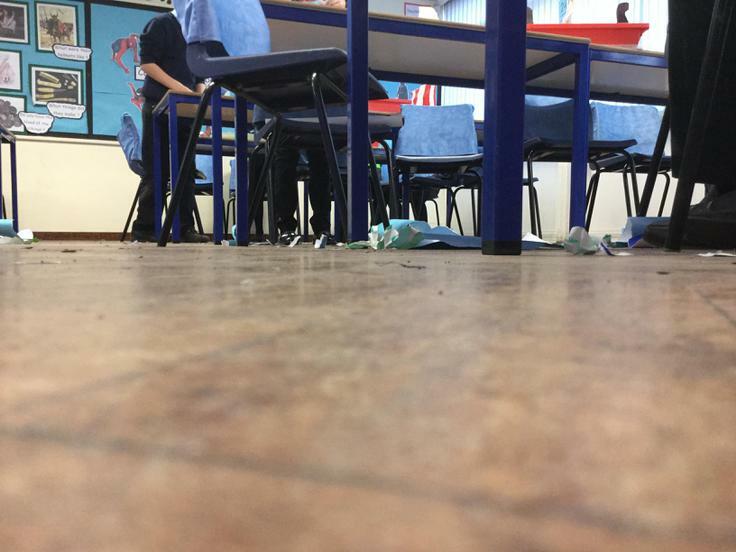 Also most importantly, were they just cold -bloodied killers ? 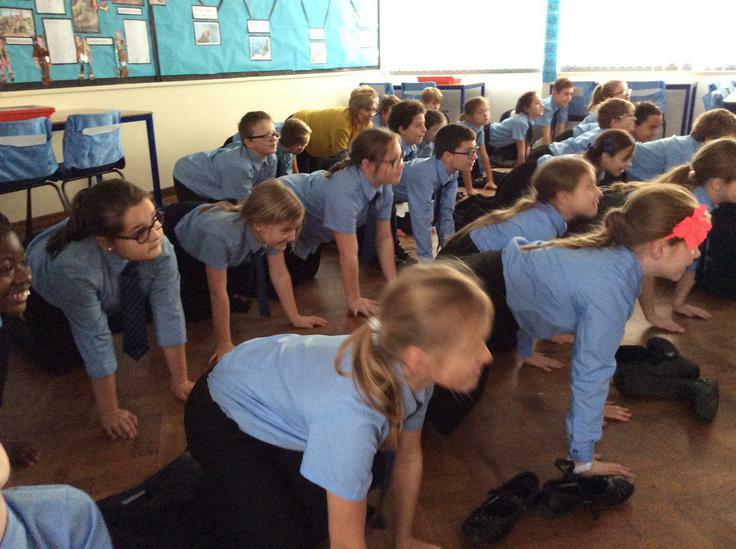 You can relive this by watching the assembly presentation. 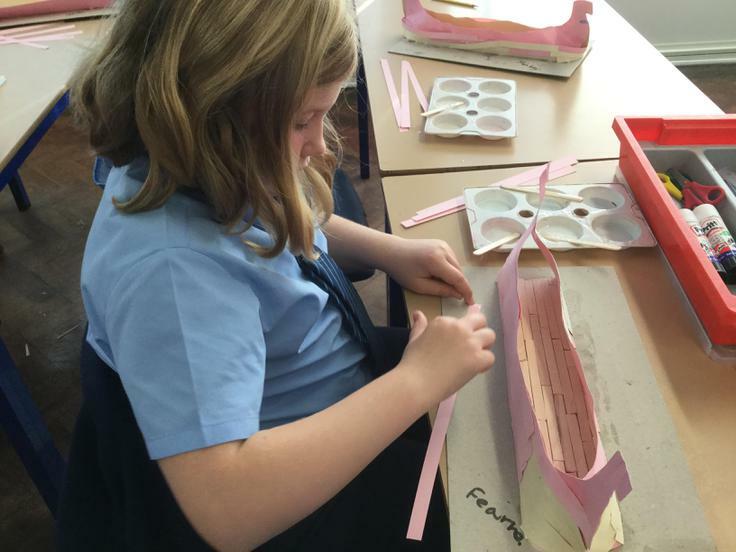 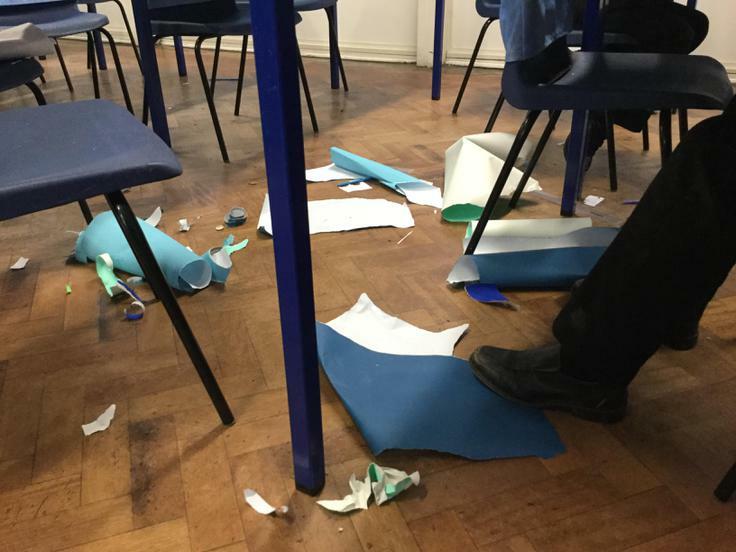 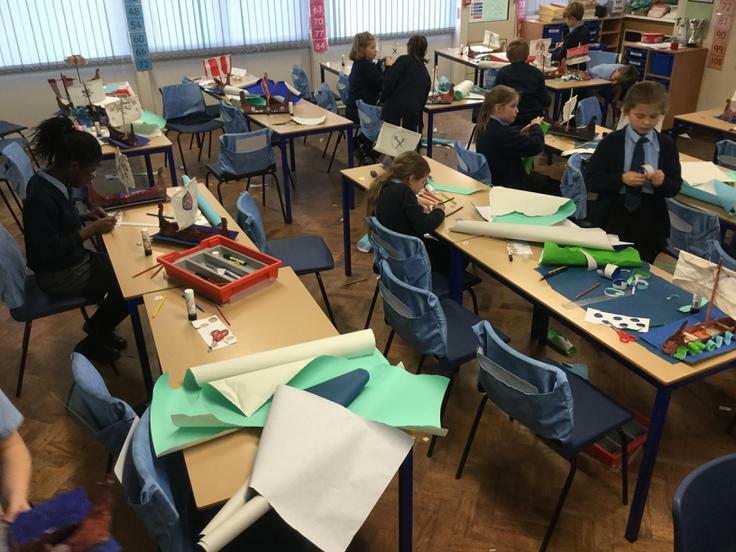 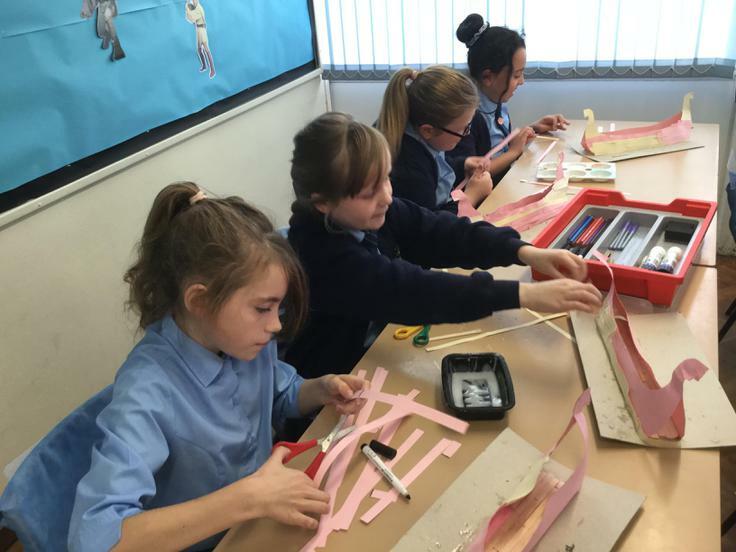 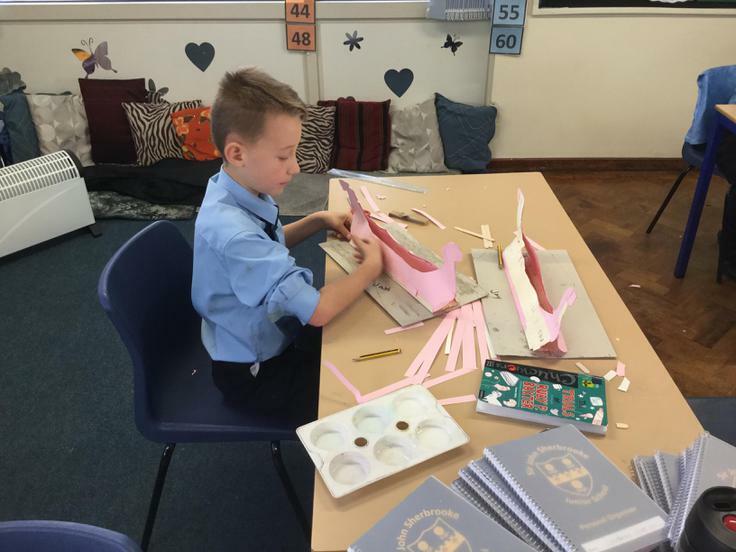 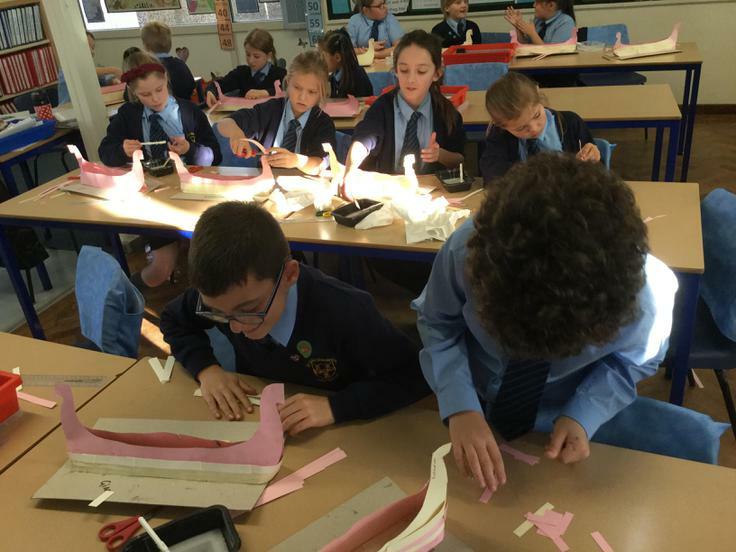 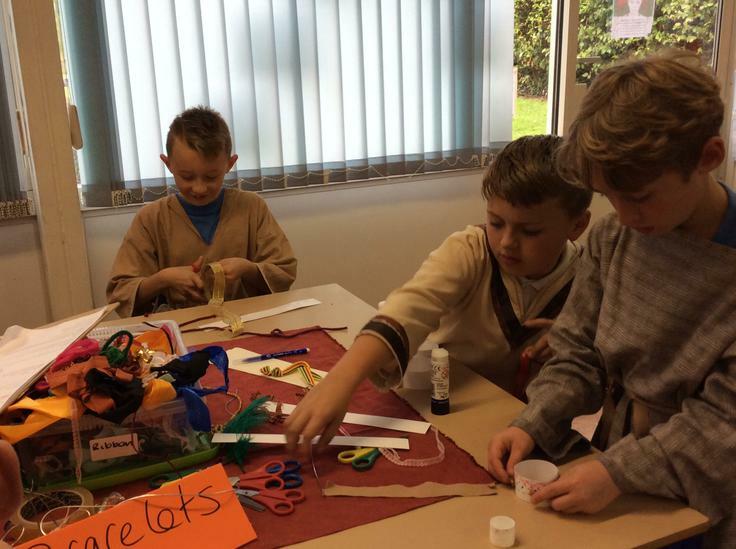 We have been very busy making Viking boats as our Design and Technology project this term. 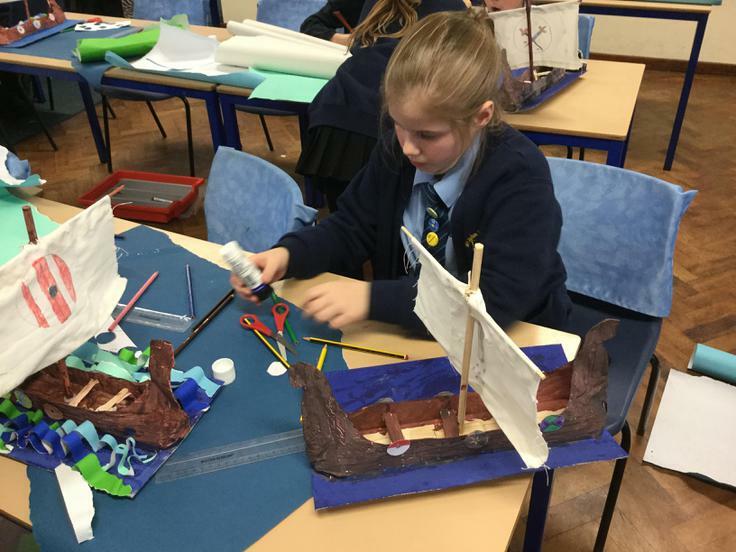 The fleet is looking very impressive and will be ready to set sail soon! 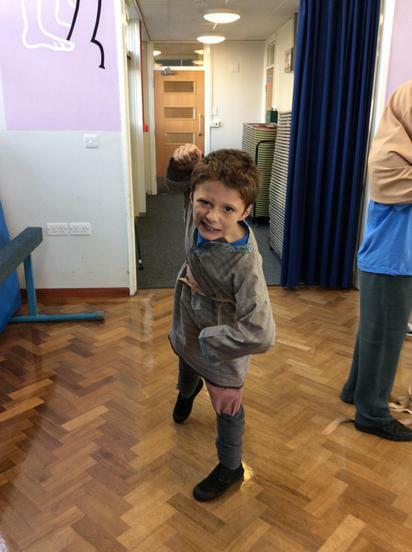 More pictures to come. 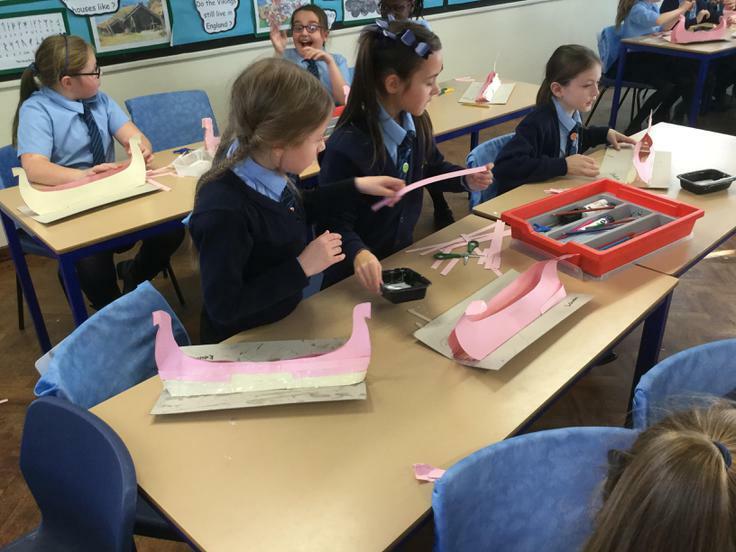 The fleet is nearly ready to sail, we are just finishing the ships. 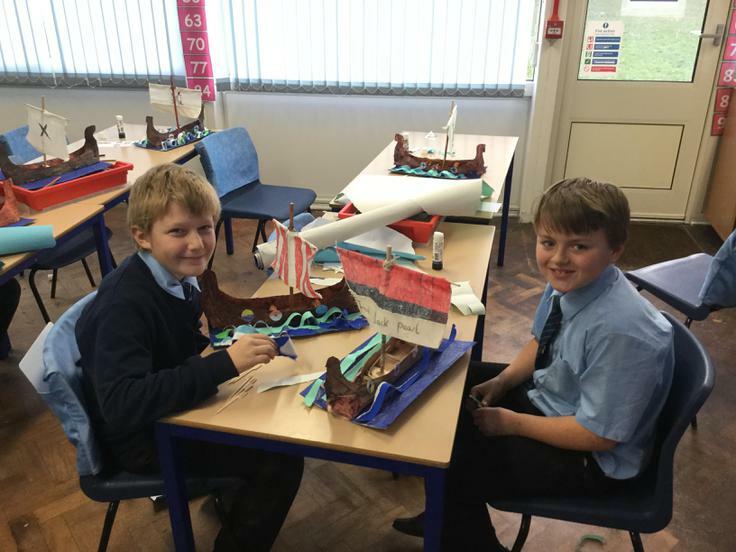 Finishing the ships. 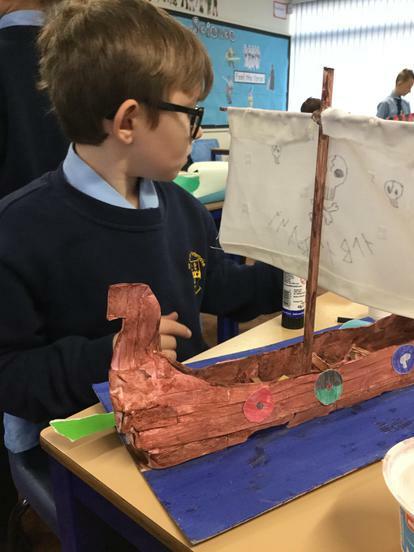 Ready to set sail next week. 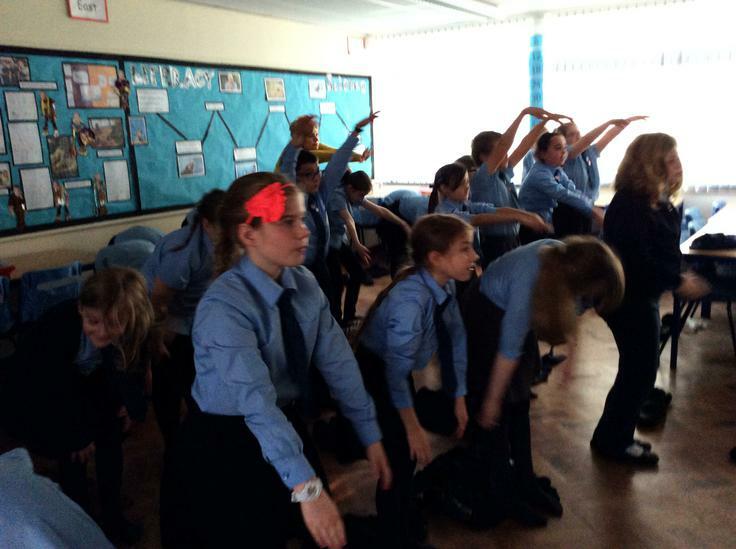 A wet, damp day in January and 5'O' dispel the gloom with Zumba !